If you are preparing for a romantic evening at home or having a summer party with friends, we all know that a bit of wine is crucial in any event. With that in mind, how do you plan to serve your party guests their delicious drink? Well, whether you are serving a Carbenet for the evening or a delicious sweet red, we can say that we have the specialty list of wine glasses for you. If you are seeking for quality wine glasses, we have formulated a list with every possible quality wine glass that an individual can ever want. Whether you are seeking for durability, style, quality, or appeal, there is a wine glass on this list for your next event. Whether you want a wine glass to fit your bold red or a wine glass that is specifically tailored for you and your significant other, this list has our top ten best wine glasses, which have been carefully selected for you, by us! With that said, we want to start off with quality wine glass number one. Stay tuned through the whole list because you may be widely impressed at the different styles, levels of quality, and brands that offer wine glasses. Let’s begin! 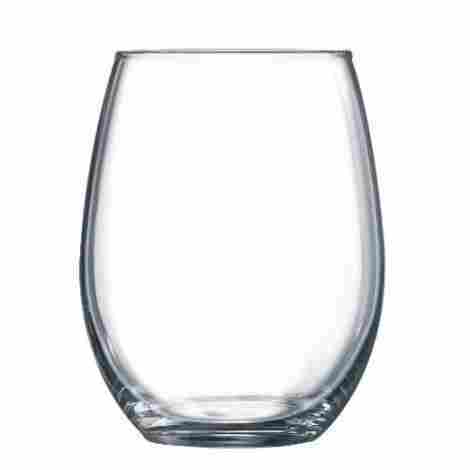 As the first set of wine glasses on this list, we are eager to share the Arch International Luminarc Cachet/Perfection Stemless Wine Glass, a simple design that is both traditional and modern. Fitting perfectly with any table setting, this set of stemless glasses has a wide variety of options to choose from and individuals have a wide variety of sets to choose from as well. Let’s talk about two important features of this set. What is the number one fear of most individuals when they buy wine glasses? That the stem will break and fall off! Well, with that said, you can remove that fear when it comes to this particular set of wine glasses. 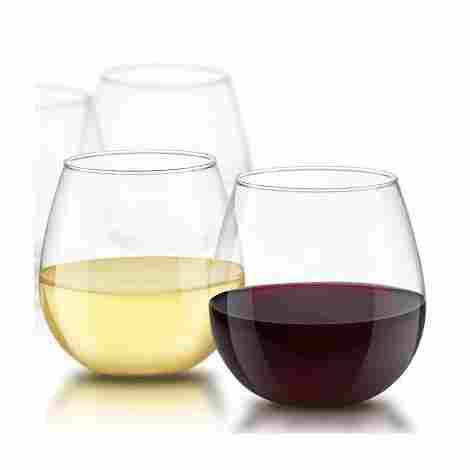 They are stemless so they only have the top portion which holds the wine, making them a more secure table setting, especially if you are planning on serving a lot of people and having a fun time. This particular product may offer one of the best quality designs in the industry. In fact, this item is highly durable glass that is wash resistant and can be placed in a dishwasher. However, somewhat new to this industry, this product is actually 100-Percent Hygienic, which means it is not made with hard chemicals or designed with any chemicals that may affect an individual or may rub off during the washing process. It is important to note that the cost and value for this item will range depending on how many an individual is looking for and what size. In fact, the brand offers this set in both a 15 ounce, a 21 ounce, a 14 ounce, and in different varieties of sets ranging from four to twelve. With that said, whether you are hosting a party or having an intimate night in, they are well designed. Minimal design that is easy to clean. Large variety to choose form. Heavy glasses that are well designed. Individuals have mentioned that it is hard to remove the label on the bottom. The next set of wine glasses happen to be more plump than most and are well designed for durability and comfort. Like the last set, they are stemless and offer plenty of style to any table setting. Let’s talk about the JoyJolt Spirits Stemless Wine Glasses and what individuals can expect from these quality wine glasses. So these wineglasses can hold up to 15 ounce of red or white wine, which can be enough to get the party started on a goof note. Get it? Note! Like a wine note! Anyway, they are highly durable and comfortable. However, the biggest benefit is that they are actually shatter-resistant, so individuals can rest assured that they can do plenty of clinking and clanking and toasting and the glasses will be able to resist any shatter. As the quality design of this product, this item happens to be stemless like the last. The benefits of stemless wine glasses are that they happen to be more durable and remove the worry of them being knocked over. With that, stemless glasses tend to be better designed for stability and allow individuals to have a bit more fun without worry. So, what can individuals expect when it comes to the cost and value of these glasses? It is important to note that they are shatter-resistant, machine washable, and are quite plump, offering a bit more space for more wine. However, they are still really affordable and well designed for the price. We highly recommend them for the individual looking for fun drinking glass wear that is highly durable. Used for both white wine and red wine. Individuals have mentioned that they are not crystal clear. As the next brand on the list, these happen to be one of the most elegant designs when it comes to glassware. So, they are not quite shaped like wine glasses, but they are for red wine. We want to talk about the Bormioli Rocco Restaurant Red Wine Glasses, glassware that you would see at a fine restaurant, now in your home. Here are two features of this luxury brand. So this particular product is actually made in Italy and it happens to be one of the most durable wine glasses in the industry. With that said, the level of quality and craftsmanship of these wine glasses actually leads them to be shatter resistant and dishwasher safe. For the quality, we can say that they are well worth it. Part of what makes this brand exceptional is the craftsmanship of the overall product. In fact, this item is laser cut to ensure a satisfyingly smooth and thin stem that is easy to grip but also resistant enough when being handled. This is only a testimony to this brand’s dedication to supplying quality and durable products. As we take cost and value into thought, we can say that for the quality of this product, individuals are getting a rather great deal. Alone the product is discounted and the design ensures precision cut luxury. Overall, we highly recommend this set if you want a high-quality set that is well designed and made for all natural style and beauty. Comfortable to use with durable stem. As the next product on this list, we are moving up the ranks of luxury and beauty with this next brand. This brand has long been known as one of the leading experts in fine glassware. Therefore, we had to include them here. This is the Schott Zwisel Tritan Crystal Clear Pure Stemware wine glasses and they are beautiful, appealing, stylish, and everything an individual is looking for. Let’s talk about two features of this quality product. This may just be one of the most modern, yet beautifully designed glasses in the glassware industry. This wine glass actually has a dramatic angle bowl design alongside a beautiful stem that peaks from thin to slightly bold inch by inch. With that said, the design makes them the perfect piece of the company to any dinnerware party or group gathering. If there is one brand we highly support, this is it. In fact, this brand often has deals where they donate a certain amount of the profits to charity. With that in mind, we can say that currently, they donate 1% of donations to the #Wemovement, which supplies clean drinking water to people in need. Therefore, not only are you purchasing a luxury item, but you are supporting a good cause. With all of this said, this brand is highly touted for their expertise, their level of craftsmanship, and the fact that their products are widely known among individuals that happen to be wine aficionados. We can say, however, that they tend to be costlier considering that they are crafted for expertise and quality. For the price, not only are they a great gift for others but a great gift for yourself. Quality product by an expert brand. Leading industry professional in the glassware industry. Different selections of styles to choose from. As the next brand on the list, we are trading in the luxury appeal for durability and trust. This brand happens to be one of the most common houseware brands. They are also one of the most trusted for their experience in the homeware industry. Their products are expertly designed for quality and they are designed to withstand the test of time. With that said, we want to share the Libbey Wine Party Stemware Wine Glasses and two features of this great product. This product, in particular, is shaped quite differently than most. This item is designed to accentuate a variety of different wines ranging from Merlot to Shiraz. Therefore, an individual does not need to purchase different varieties of glassware, they can actually just use this one for all of their dinner parties. If the main drink of the night is a Cabernet, then this is your go-to glass. 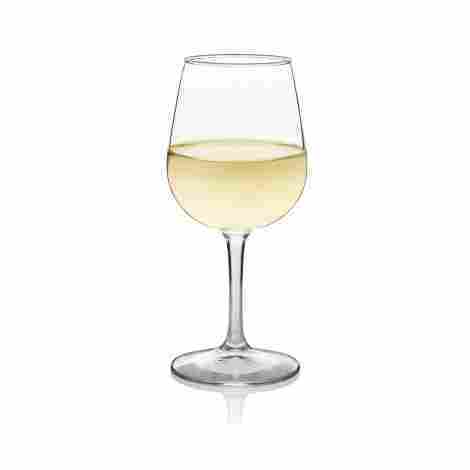 If your main drink of the night is a Chardonnay, this is the go-to glass. This product is actually made in the USA, which means it is expertly crafted with some of the best material standards in the industry. With that in mind, this product is actually made to be Lead-Free and highly durable. With this material quality, the item is dishwasher safe and designed for expert quality. To start off, this product actually comes in a set of twelve, meaning an individual can host up to twelve people with this set. With that, the value for the set is one of the best, making it a high quality to set to use all year round. For the overall quality, we can say we highly trust this brand for their years of service in the industry. Set of twelve is well priced. Sturdy stem and good weight. Not ideal for full bodied reds. Now that we have passed the halfway point of this article and we are on product number six, we want to share a high-quality item that is designed for a luxury evening. 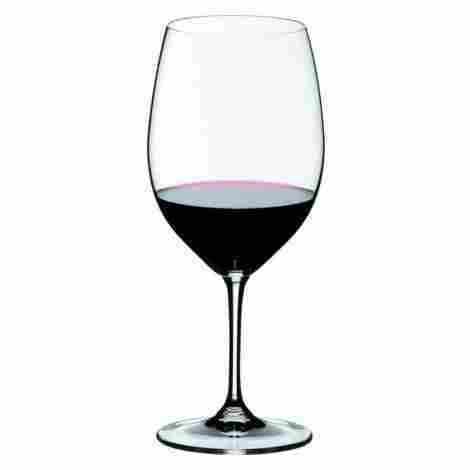 This is Riedel Vinum Wine Glass and it is designed for luxury. Made of fine crystal, we can say this happens to be one of the most luxurious sets an individual can buy. Now, it is important to note that this particular set is well designed but highly sensitive. So, it is recommended to have the most care when it comes to using and washing this item. However, the brand has designed them to be dishwasher safe as long as individuals are careful. For the design and the overall quality, we highly recommend them if you want luxury alongside pristine craftsmanship. So this particular set happens to be for Bordeaux. However, individuals have the options to purchase for Reisling, Zinfandel, Cabernet and many other different types of wines. With that in mind, the brand has an option where you can purchase a set of four, set of six, or a set of eight, depending on your needs. Time to talk about the most important aspect of this glassware. If you are familiar with this brand, the price is something you most likely are not concerned about. With that, it is valid to say that this is one of the most luxurious brands in the segment and can compete with the ones that are up next. Once cool offer from this brand is that at times they may give two extra wine glasses if you purchase six or more. As the next glassware set on this list, we want to share a brand that blends fun simplistic design elements with a luxurious feel that is unprecedented. This is the Mikasa Cheers Collection of White Wine Glasses and they have one of the most special, modern, and beautiful designs that we have come to expect from this brand. Let’s take two factors into consideration. So, this particular item happens to be precision-etched, which means it is etched with a precision quality machine with the newest technology to ensure a quality and distinctive design that is both beautiful and luxurious. With that in mind, we can say that the overall design of this product is of the best quality. The designs include everything from dots to lines and even swirls, which make them highly beautiful. As we have come to expect from this brand, they are known for having some of the most distinctive and beautiful design elements in the industry. With that, they also focus their attention on luxury, making this one of the best quality items on this list. In fact, it is dishwasher safe and the etching will not fade or get ruined by being in the dishwasher. As we have come to know from this brand, they supply some of the best design factors in the industry. With that, the overall cost of this item is not as pricey as most but it is well valued. Now, if you want to collect the whole Cheers set, we recommend it, but it will cost a pretty penny. For the value and the price, they are well worth it. Not too thin or fragile. Luxury brand with years of experience. Cannot be washed with harsh chemicals. Following in the design trend of the last set, we want to share a beautifully designed spiral cut design that is high quality. Now, what do you get when you combine modern design with the benefits of stemless? You get this brand! 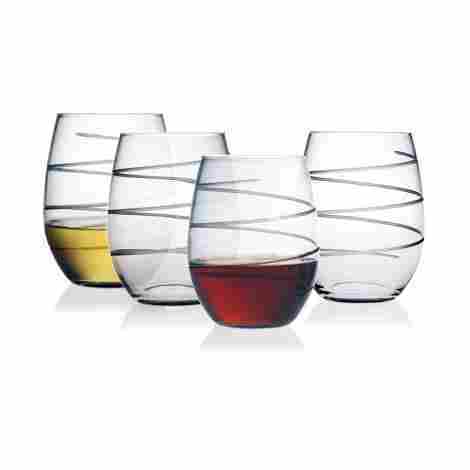 Let’s talk about the Susquehanna Glass Spiral Stemless Wine Glasses and two great features individuals can expect from this quality product today. This particular item happens to be dishwasher and it is in fact made in the United States. The fact that it comes without a stem, individuals do not have to worry about the shape of it not fitting in the top rack of a dishwasher. With that said, they can be washed easily because of the open spout design which happens to be large enough to wash, unlike certain wine glasses. Part of what makes this item well design and high quality is the overall weight and sturdiness. This set of wine glasses is well designed and guaranteed to last a long time if individuals take good care of it. With that said, they are durable. Holding 21-ounces each, we can say they are perfect for any dinner party or gathering. As we discuss cost and value for this product, we highly suggest individuals take into consideration the many different sellers that this product can come from. Each seller will range in price, however, they may be found in department stores at some time. Lastly, these may be one of the best-designed glasses in the industry for the overall value and quality. Well design and beautiful spiral design. Can fit on the top shelf of the dishwasher. So, we could not have a list of high-quality glassware and not be able to include this brand. This may be one of the most luxurious brands in the history of glassware and homeware and individuals should expect that anything that has their name on it, is designed for quality and style. Let’s talk about the Waterford Personalized Engraved Lismore Essence Red Wine Goblets and two features of this item. This is fine crystal quality at its finest! This brand only uses the most high-quality crystal and they have long been known as the chosen luxury brand of individuals such as Oprah Winfrey and Jennifer Lopez. With that in mind, we can say that not only are they highly luxurious, they are extremely durable, as most crystal cut and etched quality items are. Not only are they one of the most luxurious brands in the history of brands, they actually allow for the item to be engraved, so you know that it is exactly for you. Never confused your luxury goblet with your wife or husband again, they are individually designed to offer monogramming. Now, if you don’t care for the personalization, you can also buy a regular version of this luxury item. As we discuss cost and value, we can say that this product is high quality and highly touted for the product value and durability. This is not any type of drinkware, this happens to be one of the most durable, luxurious, and timeless pieces of art in the glassware industry that has ever been produced. With that alone, it comes at a hefty price for just two of them. Choose between personalized and regular. Quality product made for durability. As the last set of wine glasses on this list, we want to share what may be one of the most luxurious brands in the industry that blends luxury and affordability. 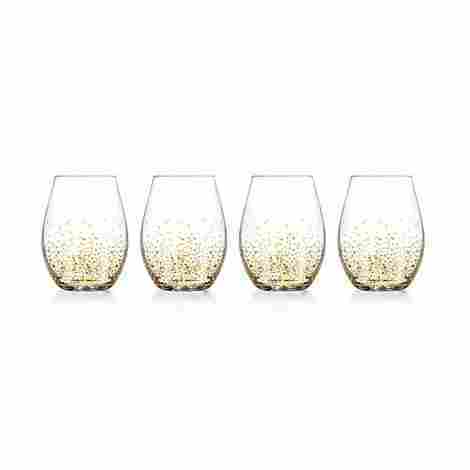 This is the Fitz and Floyd Luster Stemless Glasses, a beautiful set of glasses made for any occasion. Here are two quality distinctions of this particular product. Part of what makes this product so highly beautiful is that it had a golf luster appearance. Yes, this product has a beautiful design that resembles golf fairy dust or tiny specs or dots. With that, they are known as luxurious and festive glassware for any fun occasion. Have you ever bought something and wish it came in the whole series? That is exactly how we feel about this product and this brand. However, they answered the call. This brand actually has the golf luster look in about five different varieties of items. Choose between flutes, goblets, highballs, stemless, and wine glasses and you can decorate any occasion with beautiful gold specs. What we can expect to pay for this item is relative to the occasion. Currently, these are on sale, which makes them reasonable. However, when not on sale they happen to be one of the most expensive sets of glassware, close to Mikasa or Waterford. With that in mind, this brand is a leading expert in the home décor industry and we have come to expect high-quality products from them. Four-piece set that is beautiful. Beautiful series to choose from. 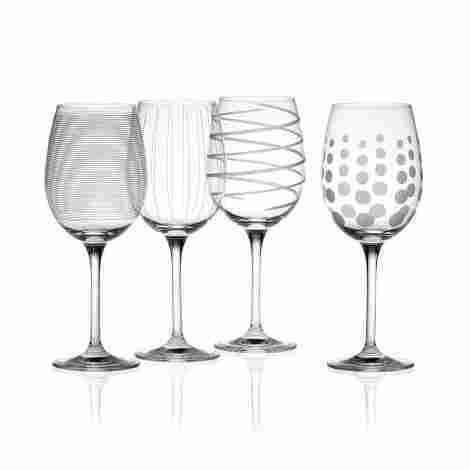 Now that you have gotten to know our top ten best wine glasses, which one is your favorite? Whether you are seeking a minimal and luxurious style, or you want a bold glass that stands out, all of these glasses are designed for quality and offer their own unique blend of features. So, which one is your favorite? 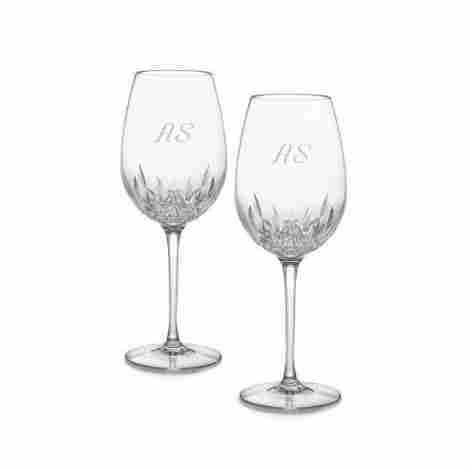 Whether it is the Mikasa Cheers Collection or the Libbey brand which is known for durability and universal use, we highly suggest these glasses for your next event. Now, how do we come up with our top ten list? Well, this is where our specialized and formulated criteria come into play. We want to share with you our criteria to evaluate the top ten best wine glasses. This is where we took into consideration different aspects of what makes a wine glass a quality addition to your next table setting. Let’s begin! As the criteria to evaluate the top ten best wine glasses, we can say that all of these wine glasses are tailored and custom made by brands that focus on quality, durability, and many different important points. With that, we had to narrow down what these important points were and focused a large portion of our selection process on comparing the many brands there are to these points and evaluating which were the best. With that, we can say that all of these brands met our guidelines below, which aided in the selection process. Why do we do it? Well, our primary intention is to share the top of the line quality products and so, our criteria help us discover and weed out the good from the bad. With that in mind, let’s talk about the first criteria on this list, which happens to be one of the most important. When it comes to any houseware item, we believe that quality customer service is crucial. Therefore, as the first criteria, our intention was to weed out the great brands from the brands that do not care about customer service. The reason we made this criteria number one is because we wanted to ensure that if a glass came broken, the brand would take it back and ship a new one. With that, we also wanted to ensure that the brand’s reputation was one that was known for a positive community influence and customer satisfaction rather than creating a difficult process for the customer. Part of our research entailed ensuring that the brand was transparent in their shipping process as well as the ability to contact them directly. What we can say is that all of these brands are known for excellent customer quality. In the case that you have any problem with any of the glasses, any of these brands is happy to help. As the second most important criteria that we took into consideration, we found that the glass design was a crucial center point that would direct us as to which were the best to include on our list. With that, our goal was not to only focus on quality brands and fine crystal glassware. We wanted a wide spectrum of different glasses. Therefore, we included brands that are known for more simple patterns and designs such as Libbey. However, Libbey is widely known for their brand quality and durability. With that, we not only wanted to share simple designs that were minimal, we also wanted to share extravagant and beautiful designs. This is where brands such as Mikasa or Waterford came into the picture. Now, before they made it onto the list, they had to all meet this next criterion. As part of another important aspect that we took into consideration, we wanted to ensure that the wine glass was not only durable but able to withstand the test of time. What we found is a common truth that the more you pay the more quality it is. With that, even the least expensive set on this list is highly durable. Different aspects of durability that we took into consideration include heat safe and dishwasher safe. Meaning, they could withstand hot water and not crack. With that, we found that all of the glasses on this list are primarily designed for durability and to withstand the test of time. Alongside this, all of these products are well designed, and some are even made from non-toxic chemicals. This next factor is truly kind of broad when it comes to glassware because the price ranges depending on the brand, the style, and the quality craftsmanship. For example, mass-produced wine glasses tend to be less expensive than hand produced crystal glasses. With that, we wanted to take into consideration the value to the price per set. Therefore, we took into consideration if the brand offered the ability to buy four, six, or eight in a set and what the price would have been. What we can say is that all of these products are well designed for quality and ensured to give you your money’s worth. Not only that, but they are all designed to enhance any table setting. Now that we have talked about the criteria, we want to move forward and share with our audience the most frequently asked questions when it comes to these wine glasses. Q: Are they dishwasher safe? A: As the first question that individuals are asking, we can say that all of the products except one on this list are dishwasher safe. The reason one of them is not dishwasher safe is that they happen to be made of quality and highly sensitive crystal. With that, the rest are all dishwasher safe and designed to withstand cold temperatures and high heat. It is recommended to always read the washing instructions when it comes to the brand. Q: Where are the glasses made? A: As one of the key questions that individuals are asking, this truly depends on the maker and the brand. Through our research, we found that the most common places of glassware range from Italy to Germany and the United States. For a better-detailed description, check out each individual brand and where their specific maker is from. Q: How do I clean it by hand? A: This happens to be one of the most common questions. If you happen to be cleaning a wine glass by hand, it is recommended to always use a light and sensitive soap and light pad. With this, individuals can clean it with warm water and ensure that the wine and residue are gone. Now, sometimes the opening of the glass is not large enough to fit a hand or the pad, then it is recommended to use a specialty cleaning brush. A: This is actually a common question which happens to be one of the most important. Yes, there is a difference between crystal and glass. Crystal is actually stronger due to the chemical compound of the item, which allows for a wine glass to be thinner but more durable than glass. 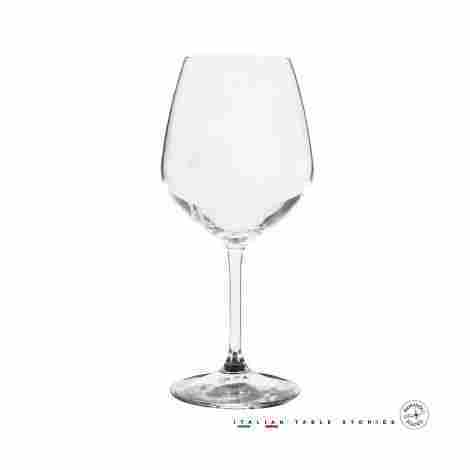 VinePair, Do I Need Different Glasses for Different Wines?